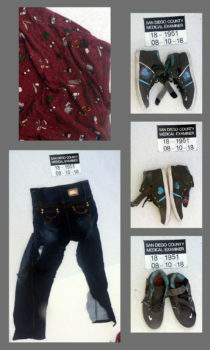 The San Diego County Medical Examiner’s office put out a call for public help Tuesday in identifying a young woman struck and killed by a vehicle on Aug. 9 while trying to run across northbound lanes of Interstate 5. The fatal accident occurred south of the Border Patrol’s San Clemente Station, which is located within San Diego County. Fingerprint searches of federal, local and state databases returned no matches, according to medical examiner’s investigator Tessa Lee. The victim appeared to be a Latina in her late teens or early 20s, possibly a recent emigre from Mexico or another Central American country, according to the medical examiner’s office. 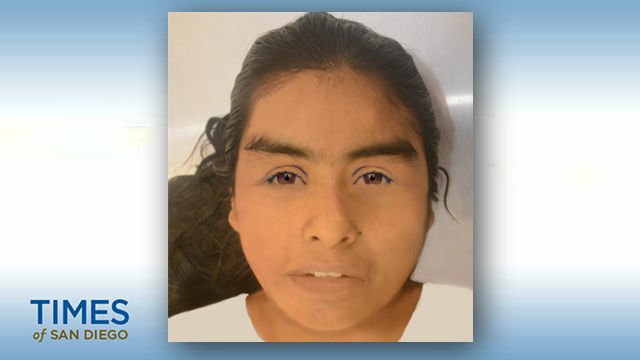 She had brown eyes and 6-inch-long black hair, weighed 111 pounds, was 5-foot-1 and was not carrying any identification or purse. She wore a maroon shirt with a pattern of repeating cartoon prints, jeans with a tag brand that read “Emociones” and gray high-top sneakers. The medical examiner’s office asks anyone with information about her identity to contact the office’s investigation unit at (858) 694-2905 and cite case number 2018-01951.